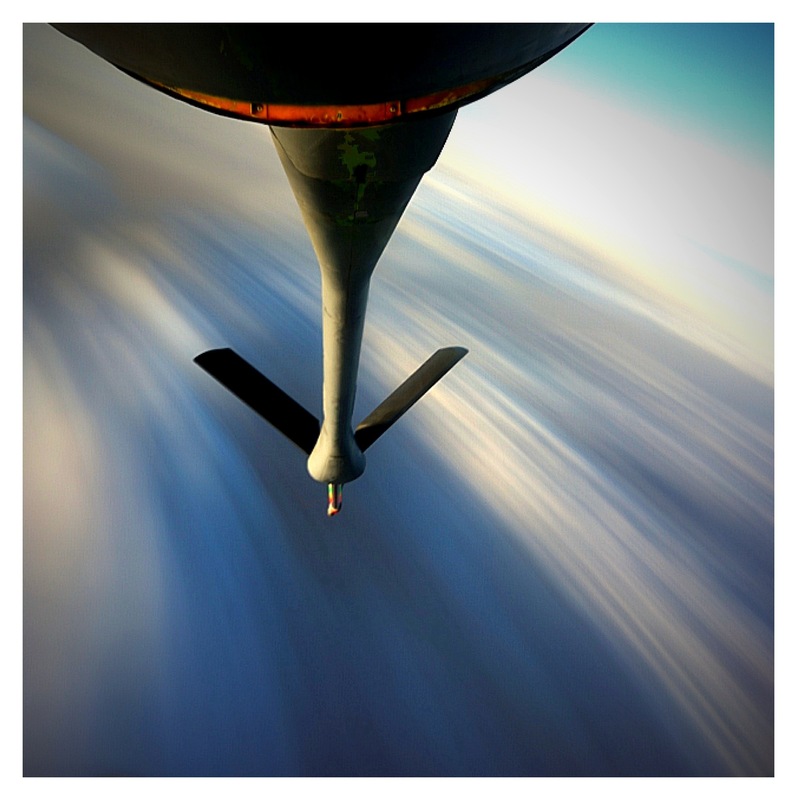 Robert Kawasaki is a Magazine car photographer, and an airplane mid-air refueller. He took this photo while experimenting with an iPhone app that makes time exposure photos. PHOTOGRAPHER: Photography is a big hobby of mine. I started photographing in 2004 when I was stationed at Yokota Airforce Base in Japan. I love cars and started photographing a lot of auto events. I emailed photos to magazines and websites but as an amateur, no one was interested in my photos at first. I got my first break with Performance Auto and Sound magazine. Then I worked with a lot of European car magazines. Irish ‘Slick’ magazine, Belgium’s ‘GR8’, Russia’s ‘Forsag’, France’s ‘Auto Performance’, Greece’s ‘Burnout’ and America’s ‘Super Street’. PHOTOGRILL: Tell us about your work mid-air refuelling? PHOTOGRAPHER: It’s a very exciting job! We are basically a gas station in the sky. Refueling all sorts of airplanes from all over the world. I love to travel and this job suits me very well. We meet a lot of people and go to cool places. It’s an enlisted job in the Air Force and from my own perspective, it’s the best flying job in the Air Force besides being a pilot. PHOTOGRAPHER: I have thought about this picture. I wished for scattered cloud on one of our flights to see how it will look when taken with this iPhone App I’ve been using called ‘Slow Shutter Cam’. From then on it was just a matter of adjusting the exposure time. This photo was a 30 second exposure. I’m happy with the results and very impressed with the App. PHOTOGRILL: Walk us through the process of making this picture. PHOTOGRAPHER: I have always been a sucker for long exposure shots. I believe that it is the hardest shot to predict results. I heard about the app from another photographer who is also living in Japan. As soon as I read it on his blog I purchased it immediately. I am a person on the go and most of the time I’m not able to carry my camera. Having a long exposure app on my iPhone really helps out a lot. There’s a cavity on my window when I refuel that fits the iPhone perfectly. I used this as my stable holder. The app has three settings, Automatic, Manual, and Light Trail. Automatic seems to work a lot better than manual, which results in a lot of noise and is hard to control. Light Trail is the mode you would use to colour your picture with light, or perhaps use it driving down a well lit street. The cool thing about it is you can watch the result as you shoot it. PHOTOGRILL: Is there post-processing involved? PHOTOGRAPHER: Yes. I learned from one of the magazines I worked for (which rejected me at first), that even your best pictures need to be enhanced. For this picture I used the Photoshop Express app, a bit of sharpening and experimentation with some effects. Then I opened it in Best Camera app, added a vignette, cropped and added a border. PHOTOGRILL: It must be quite a ‘buzz’ to make photos like this? PHOTOGRAPHER: Totally! And this is the reason why I am so fascinated with long exposures. You can make great photos with something that is so simple. I use my iPhone for a lot of my pictures. It’s the most versatile mobile device that takes good pictures and you have thousands of apps to modify your shots to your liking. Like millions of others users, I play games in my phone, watch movies, read news, surf the net, tweet, facebook and I even did this interview on it. As a flyer, we try to limit the things we carry during flight. It’s usually a three man crew and we carry other stuff with us. A pocket size media player, camera, internet, phone, games device, surely helps out a lot on our baggage. PHOTOGRILL: How did you learn photography? PHOTOGRAPHER: It was weird. I actually learnt from a guy that works from the rival magazine to the one that I worked for. Dino Dalle Carbonare, he taught me everything I know. Settings, angles, and so much more. We became good friends & he still does photography for a lot of magazines. I feel like I owe some people thank you’s. Dino Dalle Carbonare, and also Pete Leong for the app suggestion, and especially my wife and family, for everything. This entry was posted on Tuesday, April 19th, 2011 at 11:22 pm. It is filed under The Grill and tagged with Creative Photography, Photographic Techniques. You can follow any responses to this entry through the RSS 2.0 feed. Thanks! glad you all liked it!